Saturday, Jan. 18, 2014. It is a cool but mild Saturday in Cologne. FC Cologne and Schalke 04 are playing a friendly while, at the same time in Berlin, there is a conference for football fans on diversity and their rights. All of this is, however, quickly forgotten as major riots break out across the city. Two hundred hooligans and violent ultras have arranged a so-called "match." The police step in and nip it in the bud, though one person suffers life-threatening injuries to his head. The Cologne side was supported by hooligans from Dortmund and by one of the most important figures in European hooliganism: Denis Nikitin, a supporter of the extreme right from Moscow and the founder of the Neo-Nazi martial arts brand White Rex. “We won. Unfortunately the whole thing was taken up by the courts and I am one of the suspects but it was an awesome day," Nikitin jabbers in an interview with the Ukrainian website troublemakers.com in early 2017. "The Schalke fans did not want to go out to the fields but wanted a fight in the city like in the old days." Nikitin's relationship with the city’s hooligans is not just occasional. “Nowadays I fight for the people in Cologne,” he says. These are developed networks. The Cologne fans have been seeking contacts in the Russian Neo-Nazi scene for years. 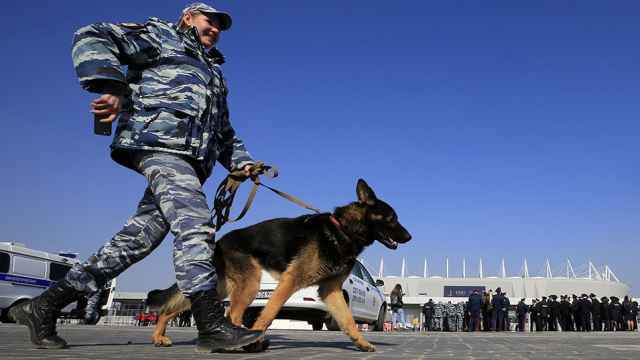 In the autumn of 2013, hooligans from Cologne took part in a very unusual football tournament in Moscow. The flag of “Hooligans Cologne” hung from the railings alongside those of groups like “N-troops” and the “Warriors” of CSKA Moscow as well as the neo-fascist “Simple Youth.” The place teemed with runes, skulls and Celtic crosses. Wine was served from bottles with a likeness of Hitler on the label. After the tournament, there was another “match.” Eight Cologne fans took on the so-called “Kindergarten” from Moscow and were badly beaten. Cologne’s ringleader was quickly knocked out and one of his men suffered fractures to his face — all part of the fun for right-wing hooligans. Nikitin fought alongside the men from Cologne. He comes to the city on the Rhine several times a year and speaks fluent German. If you trawl through his Facebook contacts, it quickly becomes clear that many are from Cologne — from their profile picture or from the addition of the word Cologne to their names. Some are posing in martial arts gear in front of the football team’s flag or in T-shirts from the Ultra group “Boyz.” One person wears a T-shirt which has the words “Ultra Violence” in three languages on it. This is not just a right-wing shirt advocating violence. It belongs to White Rex’s stock and this is how the brand has established itself online. “We established a real boys’ friendship with the guys from Cologne and Dortmund. We were brought together by nationalist ideas” — this is how Nikitin describes his connection to Germany. The relationship to football is, however, gradually disappearing. “The German groups have long since cut themselves off from the clubs and do their own thing. In Cologne it has reached the point that we don’t fight for the club but for the Dortmund boys and ourselves. We’re fighting for our city, our region," Nikitin says. Politically they support the AfD, a far-right German political party. Nikitin founded the Neo-Nazi and martial arts brand White Rex in 2008. Since then he has set up a series of martial arts tournaments across Europe targeted at the far-right. They began in Russia but have more recently been held in Italy, Hungary and Greece. The first one, named “Warrior Spirit,” was an MMA qualification tournament. These early events were in places like Voronezh and Novorossiysk, far away from Russia’s great metropolises, and were sometimes held in small rooms with ten fighters and twenty spectators. 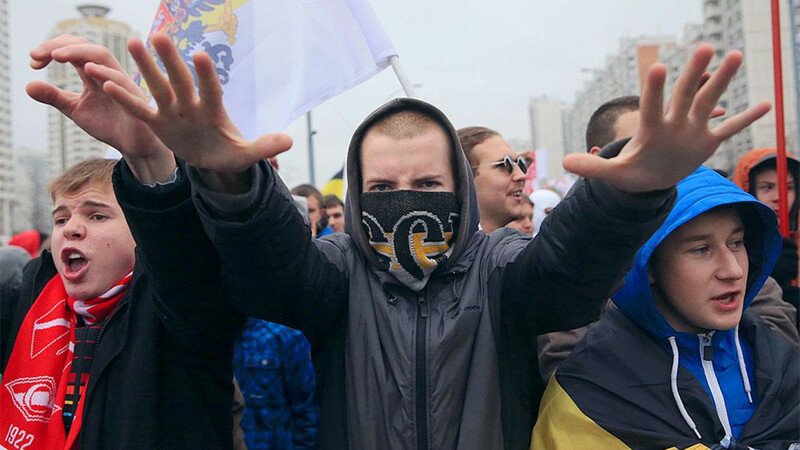 The fighters could qualify from these for grand tournaments for right-wing thugs in St. Petersburg and Moscow. 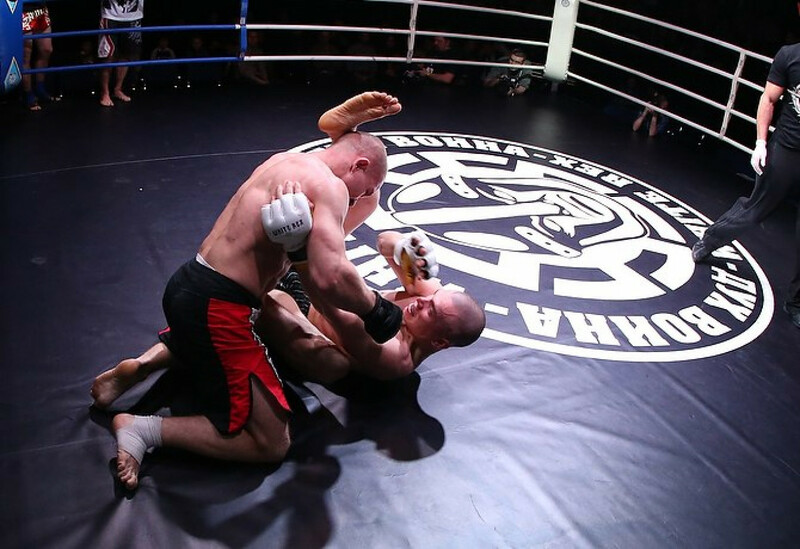 Other tournament series organized by Nikitin include the “Birth of a Nation” in October 2013, which the Dortmund Hooligan Timo “Fritz” K. participated in, and the “Young Storm League,” in which up-and-coming fighters prove themselves. The events are well attended, up to 1,500 spectators fill the halls. Nikitin has taken well to organizing such huge events. White Rex is professionally run. They advertise their events with well-produced videos and modern designs. Nikitin is both neo-Nazi and businessman. He wants to reach people from outside his own scene and has a business plan which is not just limited to sporting events. White Rex also has a far-right hiking group, “the Vandals,” which sells outdoor equipment. Nikitin wants to be a big deal, a kind of all-encompassing National Socialist supplier. 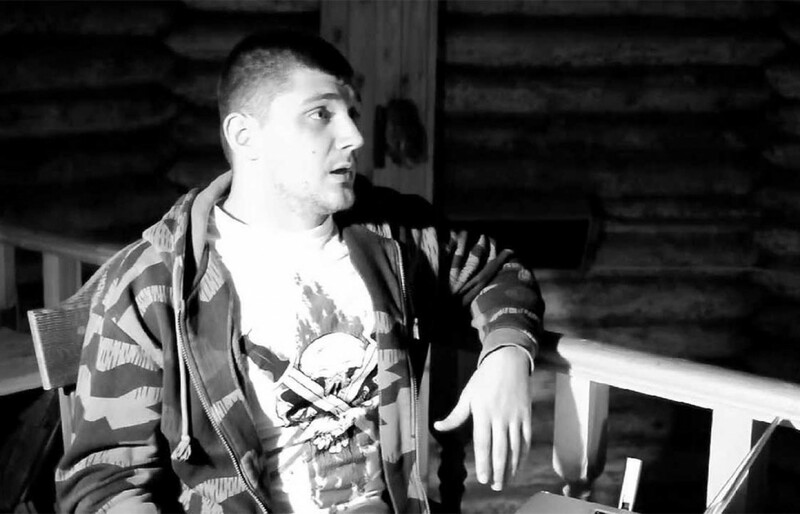 He comes from the Moscow hooligan scene, has a busy career and has access to a wide range of international networks. He was 22 when he got into the scene and four years later became a member of “Yaroslavka,” a group close to CSKA Moscow. He is deeply tied to the Russian hooligan scene, and in 2016, along with many others, traveled to the European Championships in Marseille to start a riot at the harbor. Nikitin was the leader of a small group of participants. He also offers courses in self-defense and knife-fighting, both in and outside Russia. In 2014, he was invited to speak at a conference of the “London New Right,” according to the blog ukrainianpolicy.com. Before that, he had led fitness courses at a training camp for British neo-Nazis in Wales. Through his brand, he has also made contacts with Legia Warsaw and Sparta Prague fans and he is also close to Ukrainians, having organized a tournament in Kiev. 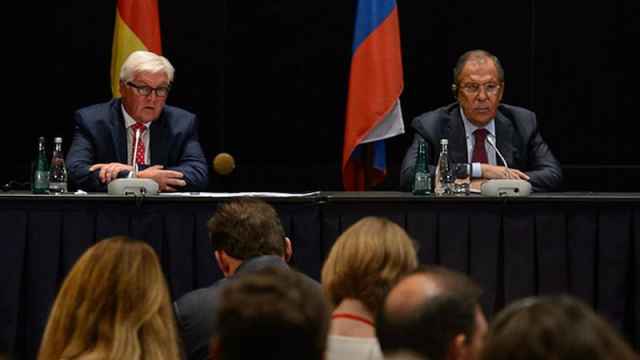 This relationship does not appear to have been much affected by the Russian-Ukrainian war in the Donbass. “I love the idea of a Russian world but you have to set this world up in its own country first,” says Nikitin before embarking on a monologue about Russia’s internal multi-culturalism, especially the Chechens and the Tajiks. “It’s why I find it so sad that so many good Russian and Ukrainian lads got involved,” is how he articulates his thoughts on the war. With his mixture of Nazi businesses, a range of modern martial arts and an international network, Nikitin has developed into one of the key figures in the European far-right. He is attempting to bring hooligans into the Nazi scene with a new kind of event — a financially profitable festival of violence, solidarity and political hatred. He has even brought this to the German market. Along with the partners mentioned above, he sponsored a martial arts event organized by the far-right “Hammerskins” called “The Nibelungen Fight.” He took part himself both as a speaker and a fighter. The tournament’s name relates to a medieval Germanic saga in which Siegfried the dragon-slayer bathes in the blood of one of his victims and thereby becomes invincible. His shoulder is however covered by a leaf and remains vulnerable. The logo of the tournament contains a small leaf – it contributes to the tournament organizers’ self-image as being part of a national epic. Since 2013, the event known as “The Ring of the Nibelungen," has taken place in secret locations — it is set up as a kind of secret Nazi concert. You send an email to an anonymous address to buy tickets and then receive a PO Box number, normally in Dortmund, to which you transfer money in order to receive your order. On the day of the event, you are sent a telephone number which leads you to various meeting points and other phone numbers, until you eventually receive the exact location. For the first few years, this was in a spa town on the German side of the Eifel mountain range, in 2016 it took place in Gemünde in Hesse, as confirmed by the government in response to a parliamentary question. At the event, a ring is constructed with ropes in the middle of a hall, in which both K-1 boxing, similar to kickboxing, and Mixed Martial Arts bouts take place. There are chairs around it and a standing area. Over the years the music played has alternated between current pop groups and bands associated with the scene like Stahlgewitter and Landser. Merchandise like T-shirts, stickers and sporting equipment is on offer from brands like Ansgar Aryan, Pride France and White Rex. You can also buy records from bands who are performing. Because of the Russian guests, vegan soup has established itself as a snack of choice because many Russian neo-Nazis adopt a ‘straight edge’ philosophy, according to people in the scene. This has been the cause of a certain amount of nose-wrinkling and sarcastic comments from the German beer drinkers. However, vegan Nazis and ‘nipsters' are becoming more prominent in Germany too. Only around 100 spectators and fighters came to the first tournament. It has grown since then. In 2016, there were around 180 spectators. It is not just hooligans from the heartlands of the German far-right scene — Dortmund, Saxony and Thuringia — who make the journey. In 2016 a hooligan from Bielefeld fought at the Niebelungen fight, using the name Adolf. He is a member of the violent, right-wing group “Venomous Generation,” a melting pot of ultras and hooligans around Arminia Bielefeld. Spread out over the whole afternoon and evening, more than 20 bouts took place. At the center of the event and of vital importance to the fighters are fascist ideas of bodily perfection and self-discipline as well as an enmity towards the democratic system. “Whereas at most ‘fight nights’ in Germany, participation all too often depends on the individual fighter’s acceptance of the liberal democratic constitution, the Nibelungen Fight does not see itself as part of a decaying political system but seeks to establish itself as a fundamental element of an alternative to this system and to spread this more widely” is how the fight’s homepage describes their view of democracy. The Nibelungen Fight is an important meeting place for right-wing hooligans, neo-Nazi gangs and famous international right-wing martial arts fighters. It is very possible that this martial arts event will develop further and get bigger especially as the Nibelungen Fight was registered as a trademark with the German Patent and Brand Office in the summer of 2017. They want to enter the free market. Right-wing hooligans in Germany have become more professional. They organize their own events, run their own labels and have international networks. Russia provides them with a precedent. Nikitin went to visit his comrades from Dortmund and Cologne in October 2017 — probably not for the last time. This is an excerpt from a chapter titled, “Hooligans professionalizing their violence” from the book Hooligans: A World of Football, Violence and Politics," by Robert Claus. 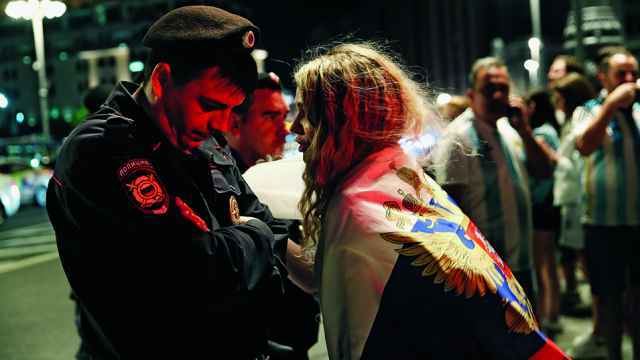 For women, the World Cup's unofficial football party has become a danger zone. 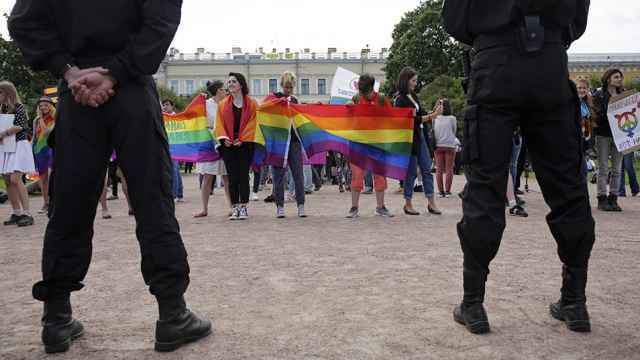 Russia’s LGBT community says strict laws have relaxed for the World Cup. Can it last?